The original Pacific Golf Club was bordered by Kessels and Logan Roads, Mount Gravatt opposite where Garden City Shopping Centre is now situated. It was officially opened on April 3, 1937. In the January of that year, great Australian singer and stage star, Gladys Moncrieff, was invited to hit off the first tee of the nearly completed 9 hole course. It was later decided that “Our Glad” be elected an Honorary Associate Member. Pacific was Brisbane’s 12th course and by June 1962, there were 719 Members and 253 Associates (Ladies). Ladies have contributed largely to the success of many clubs especially in the building of a strong social atmosphere and the Pacific Ladies are well known for their social prowess. Pacific Ladies were “unofficial” until 1949 when they became affiliated with the Queensland Ladies Golf Union and now they form an important part of the Pacific Golf Club. For many years, Ladies Day was Thursday and the change to Tuesday was made in 1972. The Ladies hold an 18 Hole competition each Tuesday and Thursday from the beginning of February to the end of November, except public holidays, when the main club runs a mixed competition. The Ladies competitions are open to ladies and lady visitors from Golf Australia clubs or overseas affiliated golf clubs. Membership Information: Ladies Membership is available and falls into three categories. 1. 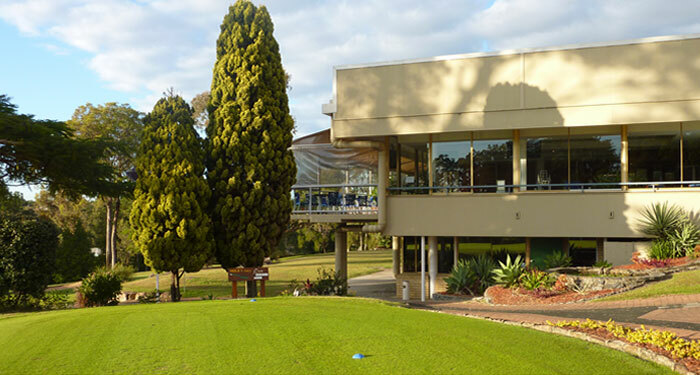 Lady Member – access to the golf course on all days except Wednesday and Saturday (except Public Holidays). Par 3 course & practise facilities access also. 2. Full Lady Member – access to the golf course for 7 days with limited time slots on Saturdays. Full membership allows voting rights. Par 3 course & practise facilities access also. 3. 3 Day Associate Member – access to the main course on Monday, Thursday & Friday only. Par 3 course & practise facilities access also. Please phone Reception on 07 3343 0888 for further Membership information.